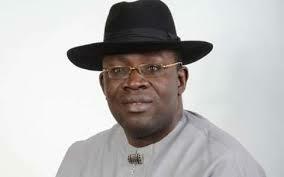 Governor Henry Seriake Dickson of Bayelsa State has commended the Federal Government for its decision to set up modular refineries, describing it as a brilliant idea that would not only create more jobs but would also increase the economic fortunes of Nigeria. According to him, the refineries, when fully on stream, would also curb illegal refining of petroleum products which has been on for years and reduce casualties associated with such risk. A statement by his Chief Press Secretary, Daniel Iworiso-Markson, said the governor stated this on sidelines of the ongoing Oil and Gas Trade Conference (OTC), in Houston, Texas, United States of America. Present with the Governor at the event were Senator Foster Ogola, Hon. Fred Agbedi who is Chairman House Committee on Gas, Hon. Henry Ofongu, Secretary to the State Government, Barr. Serena Dokubo-Spiff, Commissioner for Investment, Trade, Commerce and Industries, Barr. Kemela Okara, Chief Economic Adviser, Duate Iyabe, Special Adviser on Investment, Cyril Akika among other top aides of the governor‎. Dickson said that because of the laudable initiative, his government had fully embraced it by setting up a company; Bayelsa Petrochemical and Refinery Company Limited, to partner with willing investors to ensure that the refineries are established and up and running. The governor told his audience made up of key players in the global oil industry‎ that Bayelsa being the home of oil and gas in Nigeria, provides strategic investment opportunities as well as a conducive and secured environment to drive investment in that sector. He said that the participation of his state in the OTC is strategic as it affords it the opportunity to meet and leverage with prospective investors on various opportunities provided by his government. Dickson who reiterated ‎that already Bayelsa State has in abundance gas feedstock to power the modular refineries said ” It is interesting to note that we already have more than enough gas in abundance to deliver the three modular refineries so we are good to go”. While emphasising the issue of security, the governor assured prospective investors that all investments would be fully secure‎d and also allayed fears expressed on threats to destruction of pipelines. “To a large extent, as a state government given our strategic and massive investment in security ‎over the last five years, we make bold to say that our state is one of the safest in the Niger Delta and Nigeria. So would-be investors have nothing to worry about”, Dickson stressed. ‎The governor used the occasion to announce that the Kolo Creek Gas plant which is the first independent power plant in the country has been running for years and again listed the opportunities available in the state to drive investments in modular refineries, power plants and allied petrochemical industries. Dickson was also a guest at the Nigerian Content Development and Montoring Board (NCDMB) strategic Stakeholders event, as part of the OTC roundtable side meetings, where the Honourable Minister of State for Petroleum, Ibe kachikwu, along with other key players in the oil and gas sector were present. At that forum, he further called on major players in the industry to partner with the State on a number of opportunities in driving investment in key sectors of the State and lauded the recent federal government policy directing Oil companies to relocate to the oil producing states. To this, he asserted that Bayelsa has already provided the enabling environment to make the relocation of the oil companies easy and seamless and talked about the 3.5km runway international airport which the State is presently constructing and is at almost 90 percent completion level. “The airport will enable the oil companies executives to be able to fly in and out of the state without the the stress of travel time from Port Harcourt to Yenagoa and the completion of the new heliport will serve the purpose of helicopter shuttles”. “In addition to that, the ambitious infrastructural projects provided by the present government to facilitate businesses in the state has made Bayelsa to be fully ready and open for business” he said. ‎In his remarks, the honourable minister of state for Petroleum commended Governor Dickson for all the initiatives and efforts put in place to attract investment in the sector, particularly the move by the state government to set up three modular refineries‎.